Jay is now a Ph.D. student in architectural engineering at CU Boulder, investigating how much carbon dioxide will be sequestered by cement over the next century. 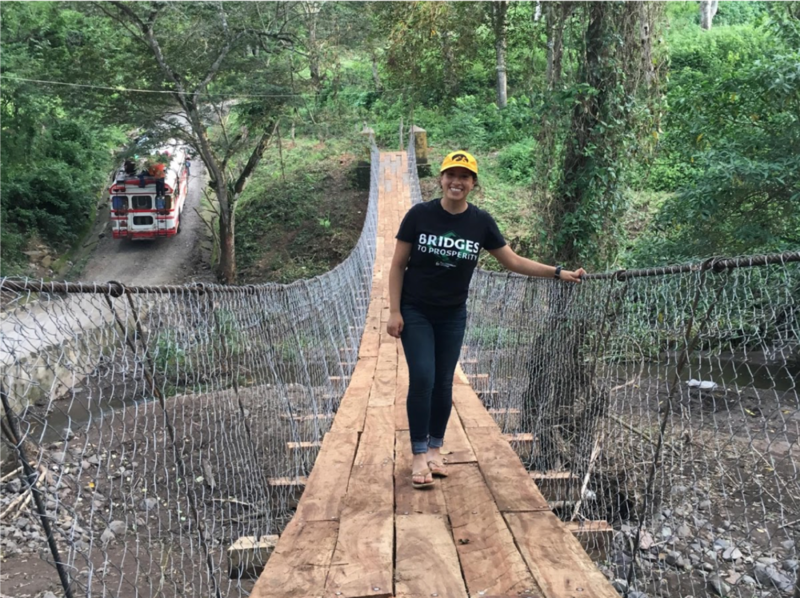 Mayra was the Logistics Manager for two bridge repairs in Nicaragua in 2017 and is now pursuing a degree in civil engineering at University of Iowa. Nate is now a researcher working in biomass gasification and a teaching assistant for programming classes. Natalie and Quinn built a footbridge together in Nicaragua, graduated in 2016, and are getting married! Mike built a footbridge in Zambia and is now a postdoctoral researcher at University of California Riverside. Adrianna worked on bridges in Guatemala, Nicaragua, and Panama and is now an environmental engineer at Geosyntec Consultants. Emily was the Construction Manager for the Las Pencas bridge in 2017 and is now pursuing a degree in civil engineering with a concentration in structural engineering at University of Notre Dame. 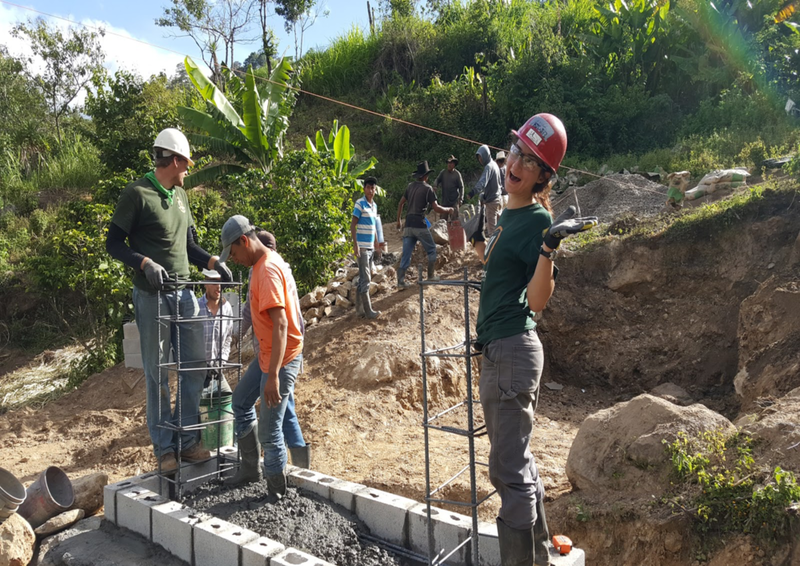 Savannah built a bridge in Nicaragua with the University of Notre Dame Team and is now a structural engineering master student at University of Virginia.